HANOI: Vietnam has lodged an official protest with China following the sinking of a Vietnamese fishing boat which was being chased by a Chinese maritime surveillance vessel in the disputed South China Sea, Vietnam said late on Thursday (Mar 21). The fishing vessel was moored near Da Loi island in the Paracel archipelago on Mar 6 when a China Maritime Surveillance Vessel chased it and fired water cannon at it, Vietnam’s foreign ministry said in a statement. “The jury board concluded that the defendants’ behaviour undermined security, order and social safety… so they need to be seriously punished,” VNA reported. The draft bill made no mention of China – and the government backed off the lengthy lease terms – but it was not enough to prevent the demonstrations in several cities, including Hanoi and the southern commercial hub of Ho Chi Minh City. According to US military newspaper Navy Times Mr Inhofe commented: “It’s like China is preparing for World War 3. China has been fortifying and building bases on islands and artificial reefs in the contested ocean. The Chinese territorial claim overlaps with rival claims from Vietnam, the Philippines, Malaysia, Taiwan and Brunei. The US refuses to recognise the Chinese claim, and regularly conducts “freedom of navigation operations” with naval forces in the area. Mr Inhofe claimed the American public are underestimating the threat from China in the Pacific. He warned: “I’m concerned our message is not getting across. US naval patrols in the South China Sea have led to confrontations with Chinese forces. MANILA, Philippines — The proposed review of the provisions of the 1951 Mutual Defense Treaty (MDT) between the Philippines and the United States may push China to become more aggressive in its actions in the South China Sea, a maritime expert said. In this May 9, 2018 photo, American and Filipino troops participate in an amphibious landing exercise simulating a beach assault during the annual Balikatan exercises in San Antonio, Zambales. Gregory Poling, director of Washington-based think tank Asia Maritime Transparency Initiative, said Beijing’s future actions on the disputed waterway, part of which is the West Philippine Sea, would depend on the outcome of the MDT review. Defense Secretary Delfin Lorenzana had earlier called for a review of the decades-old treaty between the Philippines and the US due to the maritime dispute in the West Philippine Sea. “If the Americans come forward with a statement that is, I would say, insufficiently clear it might very well provoke adventurism from Beijing testing that commitment,” Poling said during the “Asia Forecast 2019” forum in Washington earlier this week. China has been encroaching on Philippine waters, constructing artificial islands and installing military facilities within the latter’s exclusive economic zone. Beijing continues to ignore a July 2016 arbitral ruling that invalidated its nine-dash line claim over the South China Sea. The Department of Defense wants Washington to give a definitive stand on whether it will support the Armed Forces of the Philippines in case of a confrontation with other South China Sea claimants. “I think if we offer a quite clear clarification on MDT scope, it dissuades China because it lays down… red lines that make clear to Beijing where the trigger for US intervention would be,” Poling added. The AMTI director also noted that freedom of navigation operations of other countries aside from the US are also factors for China’s aggression in the disputed waterway in the past year. “We had the HMS Albion, the first British FONOP that was clearly a FONOP, we had increased activities by the French, the pace of Australian patrol even though they are not what we would call FONOPs had increased, the Japanese continued to operate so I think China feels that they win the South China Sea if they keep it as a bilateral Sino-US narrative,” Poling said. It would be harder for Beijing to win the narrative if they would go against the international community, the maritime expert added. Noting the harassment of Chinese Coast Guard personnel on Philippine troops conducting resupply missions on Ayungin Shoal last year, Poling clarified he could not predict when an incident between the two countries would escalate. “I don’t know if it happens tomorrow, six months from now or six years from now. There will be a violent incident in the South China Sea that has a potential to escalate. They all do,” Poling said. Former Philippine President Benigno Aquino, known for his hardline views on China, on Tuesday appeared to contradict the terms of a deal his successor Rodrigo Duterte is making with China, as he sharply criticised plans for joint energy exploration in the disputed South China Sea. The Duterte administration has previously said it was open to cooperation on the basis of a 60/40 revenue-sharing formula skewed in its favour – yet according to Aquino, it is China that is going to get the lion’s share. The former leader said it was indefensible to share “what is ours with another entity that gets an even bigger slice of the pie”. China and the Philippines signed a memorandum of understanding in November on negotiating an agreement for joint energy exploration, but there has not been any official correspondence on how the revenue will be split. There is also no consensus on who will have sovereign rights over the oil and gas that is extracted, given that both countries claim the area as their own territory. Philippine officials, including Duterte, have said they view a 60/40 split in Manila’s favour as a fair ratio to adopt. But local researchers have noted that China is likely to want the two sides to share the costs of exploration, which goes against such a division of revenue. Aquino was not picked up on his apparent numerical blunder at the question-and-answer session following the book launch, but he was asked about one of the landmark foreign policy moves of his administration: filing an arbitration case against Beijing in 2013 over its disputed claims in the South China Sea. That decision, and the Permanent Court of Arbitration in the Hague’s subsequent ruling in 2016 that found in Manila’s favour, is recalled in the book that was launched at the event. At the time, China reacted furiously to the court’s pronouncement and vowed not to recognise it – capping off three years of frosty relations between the two nations that only began to thaw after Aquino left office in June that year. As his successor, Duterte has taken a significantly softer stance on the sea dispute and sought cooperation with China in other areas, which he says as a “pragmatic” approach. “China is already in possession of the [South China Sea]. It’s now in their hands. So why do you have to create frictions?” he said last November at the sidelines of a regional summit in Singapore. Aquino’s camp has described this position as “defeatist”, a stance the former leader reiterated on Tuesday as he questioned whether it was feasible for the two countries to have a relationship of “strategic cooperation”, using the language Duterte and Chinese President Xi Jinping had used when the latter visited the Philippines in November. “This strategic partner will conflict with itself if there comes a conflict between their side and our side,” he said. However, the former leader counselled that the “idea of dialogue” should not be abandoned, adding that both sides could “come to an understanding”. He suggested that the international community had leverage over Beijing because China “needs the rest of the world to grow at the pace that it has grown”. “To be able to do that, there has to be confidence in the other trading partners that [they] will be treated right and we who belong in the same region have grounds to say you haven’t treated us right,” he said. China offered to bail out Malaysia’s controversial 1MDB fund, according to an investigation made by the Wall Street Journal. The report has Vietnam worried, since it reveals that in 2016, China tried to pour money into Malaysia through infrastructure deals after a discussion on September 22, 2016. In return, that explains why Malaysia’s then-Prime Minister Najib Razak supported Beijing’s stance on the South China Sea during the 28th and 29th Association of Southeast Asian Nations (ASEAN) Summits in Laos the same year. This kind of offer reflects exactly what many fears about Beijing’s ambitious Belt and Road Initiative – that China is buying the world. And Vietnam is concerned that it is surrounded by leaders willing to sell. Hanoi, the most active protester to China’s claims over the South China Sea, is facing the prospect of being isolated by Beijing’s money. But there is good news, too. In parallel with the chance to host the second Trump-Kim Summit, Hanoi sees opportunities to widen its support on foreign affairs. Brexit could work to Vietnam’s advantage in this regard. Mark Field, the minister of state for Asia and the Pacific at the U.K.’s Foreign & Commonwealth Office visited Vietnam earlier this month. Along with his visit, he contributed an article for Tuoi Tre News, one of the leading media outlets in the Southeast Asian country. The article, given the title “UK to strengthen relationship with Vietnam after Brexit,” was the latest positive signal for Vietnam-U.K. relations as the two celebrate the 45th anniversary of their ties. Earlier, on October 10, Pham Binh Minh, Vietnam’s deputy prime minister and minister of foreign affairs, paid a visit to the U.K., which ended in a noteworthy joint statement with U.K. Foreign Secretary Jeremy Hunt. In the statement, both sides agreed to strengthen the strategic partnership between the two countries. The U.K. and Vietnam also noted the growing importance of collaboration in the United Nations on peacekeeping, global security, international law, and the illegal wildlife trade. Prime Minister Theresa May’s administration has asked for Vietnam’s commitment to the United Nation sanctions regime to encourage North Korea to take steps to denuclearize fully and verifiably as well as maintaining the ban on the use of chemical weapons globally. Beyond that, public opinion tends to focus on trade and security issues in the relationship. Vietnam, as well as ASEAN in general, has been considered one of the best options for the U.K. after Brexit. 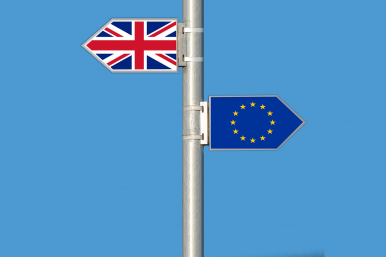 Post-Brexit trade deals are important for Downing Street, especially in the worst-case scenario of a “hard Brexit” – something that became more likely this week with the empathic parliamentary rejection of the U.K. government’s proposed Brexit deal. That is why the U.K., a strong advocate for free trade in Europe and Asia, is looking forward to ensuring “continuity for business” with Vietnam by “transitioning the prospective EU Vietnam Free Trade agreement during the Brexit transition,” as the joint statement put it. Further more, Pham and Hunt also agreed to consult on the prospects of the U.K. joining the Comprehensive and Progressive Agreement for Trans-Pacific Partnership (CPTPP), sometimes called the TPP-11. Free trade agreements beyond ASEAN that involve Southeast Asian states (like CPTPP), bilateral free trade deals with selected ASEAN member states (such as Vietnam) and an ASEAN-U.K. free trade agreement are three possible opportunities for a post-Brexit U.K., according to a report by the U.K.-ASEAN Business Council (UKABC) and the London School of Economics’ Saw Swee Hock Southeast Asia Center (LSE SEAC). The report, “Future Options for the UK-ASEAN Economic Relationship,” points out the U.K.’s longstanding and deep historical relations with Southeast Asia. In terms of trade, U.K. exports to ASEAN are higher than exports to Japan, India, and South Korea. In 2016, two-way trade between the U.K. and Southeast Asia amounted to 32.4 billion British pounds — a 9.1 percent increase from 2015. Vietnam is now the U.K.’s third largest trade partner in ASEAN, accounting for 14.9 percent of total trade with the bloc. But with ASEAN divided by national interests, not least because of economic inducements from China, the ASEAN-U.K. free trade agreement seems uncertain. Bilateral free trade deals with selected ASEAN member states can be crucial in the short term, at least. Also in the future, the UK is considering whether we will make the application to join CPTPP. We know from our discussion with members of CPTPP, including Vietnam, that there is a lot of interest among the members for working with the U.K.. So the U.K. and Vietnam are both strong supporters of free trade, and that means we will find the way to make sure trade is maintained smoothly. The U.K. is also accelerating toward the Vietnamese market in order to keep on track as “the only [EU] country to maintain market share” in the country last year, according to the UKABC/LSE SEAC report. They agree that adherence to international law is the foundation for peace and stability and renew their commitment to upholding existing Arbitrations and to freedom of navigation and overflight. They hold the view that countries should resolve all disputes by peaceful means, in accordance with international law and through existing legal mechanisms. There are signals proving that the U.K. is taking the South China Sea seriously. In addition to port calls — for instance, the visit of HMS Albion to Vietnam in September — Britain is acting in line with its “Look East” strategy. In a recent interview with the Sunday Telegraph, British Defense Secretary Gavin Williamson revealed plans to build a permanent naval base in Southeast Asia, possibly in Singapore or Brunei. This almost immediately caused protests from China. To put it into context, there are suggestions that the U.K. is pursuing an idea similar to the previous U.S. administration’s strategy of pivoting to Asia, in which the rules-based trading order would be protected by a military presence close to China. While flirting with Vietnam, the U.K. wants to make sure that those efforts contribute to its global strategy in general. Du Nhat Dang is a Vietnamese reporter who works for Tuoi Tre newspaper in Vietnam. He graduated from the Faculty of Journalism and Communication, University of Social Sciences and Humanities in Ho Chi Minh City. He is a fellow at the Reporting ASEAN program, which supports articles about ASEAN. HANOI — Vietnam and Russia are working more closely together on gas development projects in the South China Sea as they seek to reduce their dependence on trade with China. Locked in a bitter territorial dispute with China over islands in the area, Vietnam is trying to insulate itself from economic pressure by its giant neighbor. Russia, whose economy has been pummeled by Western sanctions, is also trying to avoid becoming too dependent on economic ties with China. But cooperation between Vietnam and Russia to develop resources in the South China Sea could trigger a fierce backlash from Beijing. Earlier in November, Russian Prime Minister Dmitry Medvedev traveled to Hanoi for talks with his Vietnamese counterpart, Nguyen Xuan Phuc. The two reaffirmed their countries’ commitment to joint natural gas development projects in the South China Sea and other forms of economic cooperation. They also agreed to double bilateral trade to $10 billion by 2020. At the meeting, local media reports said Phuc took a thinly veiled swipe at China’s naval expansion in the South China Sea, saying countries should try to settle issues peacefully, while respecting international law. Medvedev was reported as supporting Phuc’s call. Vietnam’s state-owned oil company PetroVietnam and Russian state-controlled natural gas producer Gazprom have agreed to jointly develop gas in fields on the continental shelf in the South China Sea. But the project has been on hold due to strong protests from China, which claims most of the vast body of water and has been building military facilities in the area. Any projects involving the two countries are bound to irritate Beijing, which is vigorously pressing its sovereignty claims in the South China Sea. Russia is not a major trading partner for Vietnam, accounting for less than 1% of its total trade. But Vietnam has become increasingly uneasy about its heavy reliance on China, which is its largest trading partner. This is driving Vietnam’s move to strengthen ties with Russia and other countries. The Eurasian Economic Union, a Russian-led political and economic grouping of former Soviet republics, signed a free trade agreement with Vietnam in 2016. The union is also looking for greater economic cooperation with the Association of Southeast Asian Nations through its trade deal with Vietnam. The South China Sea is rich in natural resources, such as oil and gas, and has become an arena of competition for China, Vietnam, the Philippines and others. In ASEAN, Vietnam has been the most vocal critic of China’s military muscle flexing the region. The Russian economy has been battered by Western economic sanctions following Russia’s annexation of the Crimea and its support for separatist rebels in eastern Ukraine in 2014. Moscow has tried to cushion the impact of the sanctions by strengthening ties with China, but it is wary of relying too much on its larger neighbor for its economic well-being. During the Soviet era, Moscow had solid relations with Vietnam and other communist countries in Southeast Asia, wielding much influence. Russia is now pursuing closer ties with Vietnam and other fast-growing economies in the region to keep its options open. In 2017, Russian President Vladimir Putin made clear Russia’s ambitions to become a more active player in Southeast Asia. “We believe this is in our practical interest and represents an opportunity to strengthen our position in the region’s rapidly growing markets,” he said.